fences add to the neighborhood’s refined appeal. A stroll among the massive stone structures that once housed many of STREETERVILLE S east of Michigan Ave running along beautiful Lake Shore Drive. 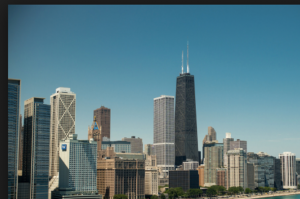 This area is known for it’s luxury high-rise properties, beautiful neighborhood parks, and many tourist destinations including the John Hancock building, Navy Pier and the Museum of Contemporary Art. This neighborhood offers all of the convenience of Michigan Ave surrounded by many of Chicago’s most desired museums, parks, boutiques, restaurants and exclusive residential properties.